The challenge with my new pantry was obviously space – this one is about one-third the size of my last one – but it really forced me to get back to my core belief of using what you have, reducing waste and being much more sustainable in my cooking practices. “Well, I guess I’ll be eating a lot more from the pantry,” I told Joel when he stopped by to see my new space. 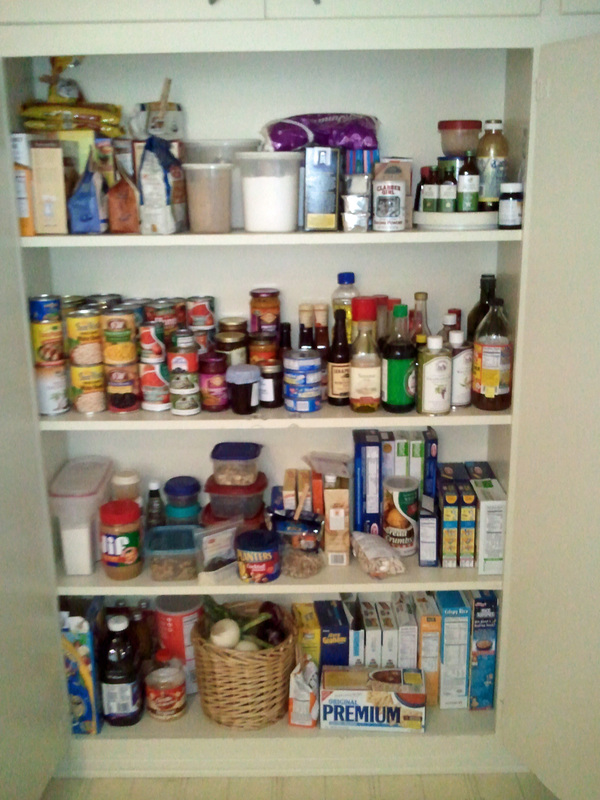 So, using my “Rule of Three” and “Super Staple” list, I’ve been able to whittle down my pantry footprint. I’ve still grouped ingredients according to purpose, but the party supplies have moved to the garage and I cheated a little by making another trip to IKEA for some MORE shelving to house the appliances, grain canisters and spices. It also gave me the opportunity to sort through some of the cans, mixes and marinades I hadn’t even used and either donate them or trash them if the expiration date had passed. NOBODY deserves food poisoning from a well-meaning donor. 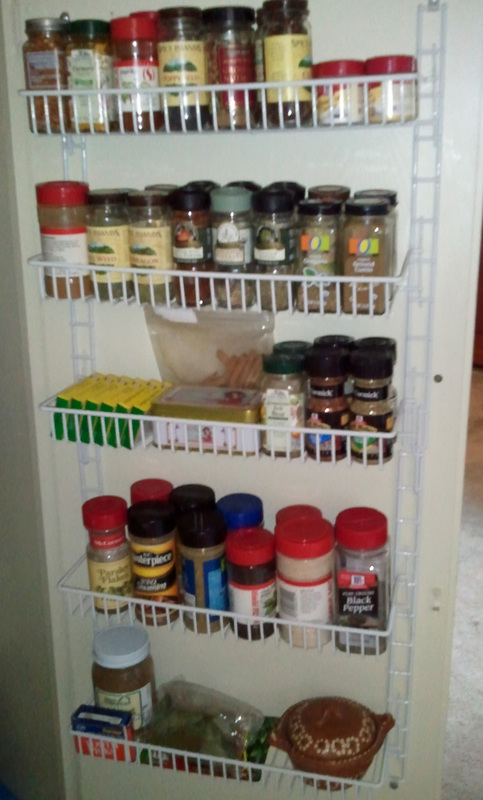 The other upside to this new pantry is that it should dramatically decrease my food costs for the next few months. Shopping and cooking for three meant always stocking up on peanut butter and ketchup when it was on sale. Now I have the luxury of purchasing items only when I need them – a much more sustainable practice. i can’t handle that much organization!!!! !